(Natural News) Indoor air pollution continues to be a threat to the health of children around the world. A new study warned that the air in some U.K. schools is more toxic than outdoor air, an article in British Telecommunications stated. Researchers from the University of Cambridge (Cambridge) and the University College London (UCL) conducted the study on indoor air pollution. They were commissioned by the Mayor of London, who has recently launched a campaign to protect the city’s children from toxic air. The study covered five primary schools and a nursery in London. It analyzed the PM2.5 and PM10 scale particulate matter inside the schools. It showed that the particulate matter (PM) in the classrooms exceed the limits set by the World Health Organization (WHO). In particular, the indoor PM10 pollution levels were higher than the outdoor levels whenever the classrooms were occupied. During both heated and unheated seasons, the average PM10 level in the classrooms exceeded 20 milligrams per cubic meter (mg/m3). Meanwhile, the mean PM2.5 level was more than 10 mg/m3. Children have narrower airways than adults. They also take in more air per pound of body weight than older people. These make children more vulnerable to air pollution like particulate matter. The Cambridge-UCL research team added that the U.K. has more cases of childhood asthma than any other European country. They drew attention to the results of earlier studies, where children from homes and/or schools near congested roads often suffered childhood asthma and wheezing. 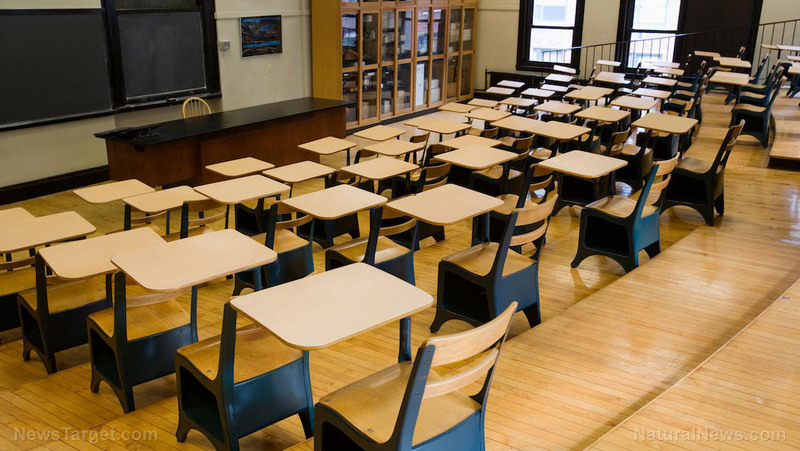 In their report, they showed that the characteristics, design, and upkeep of the buildings are just some of the factors in indoor air pollution in classrooms. A good proportion of the air pollutants comes from outdoor sources. Nitrogen dioxide (NO2) is one of those air pollutants. It is closely linked to asthma and asthmatic symptoms. The study said 84 percent of NO2 in the classroom comes from outdoor sources like road traffic. In a related development, the Mayor of London also ordered an audit of the air quality in 50 schools across London. He also called for recommendations to improve the air pollution. Funds have been released to improve the air in the schools with the most pollution. Audits and indoor air filters will also be given to 20 nurseries. Some of the measures are eliminating the emissions from the bus and taxi fleets, introducing the first ultra-low emission zone in the word, and implementing the toxicity charge for the oldest polluting vehicles in the central London area. The Mayor urged the national government to assist local efforts at improving the polluted air in London in the long term. His request was echoed by representatives from U.K. environmental groups. Oliver Hayes, who represented Friend of the Earth, expressed concern about the report that toxic fumes emitted by diesel engines were making their way into classrooms. He said this undermines the duty of schools to protect children from harm. Keep track of air pollution at Pollution.news.